Rent a yacht in Corsica and discover this beautiful French island. Only 200km from the mainland, and classed as the forth island of the Mediterranean Sea due to its size, Corsica is one of the leading destinations for summer cruises. This multifaceted island will guarantee you an exotic and relaxing getaway with your family or friends. On-board our luxurious yachts, dive into the heart of the Scandola nature reserve, and navigate to the edge of the Bonifacio cliffs. 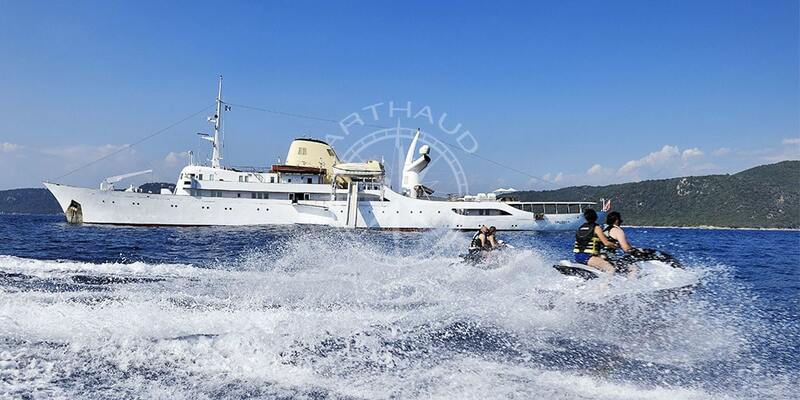 Our professional crews will ensure your comfort on-board, and will guide you to the most beautiful spots of Corsica. 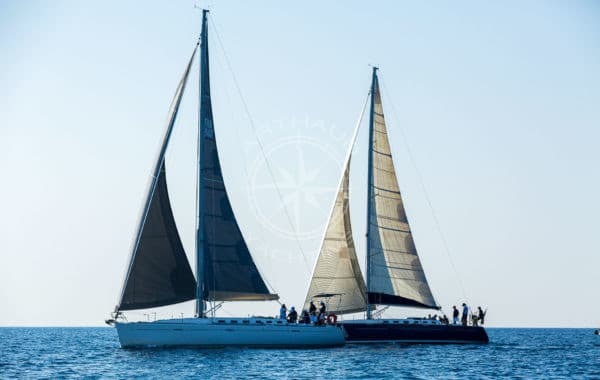 Hop from harbour to harbour and discover the Gulf of Porto registered as a UNESCO World Heritage Site, or even the citadel and the harbour in Bastia, Calvi, Port Vecchio and Ajaccio – all only a few miles away from Sardinia. 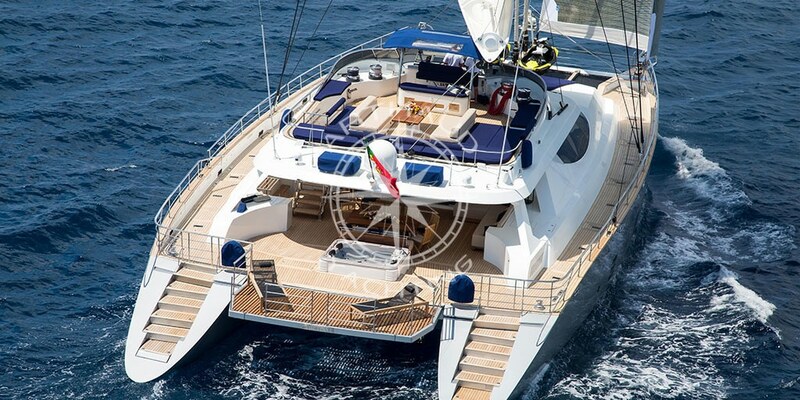 Our team will be able to recommend you the ideal boat for your holidays on the island of beauty. 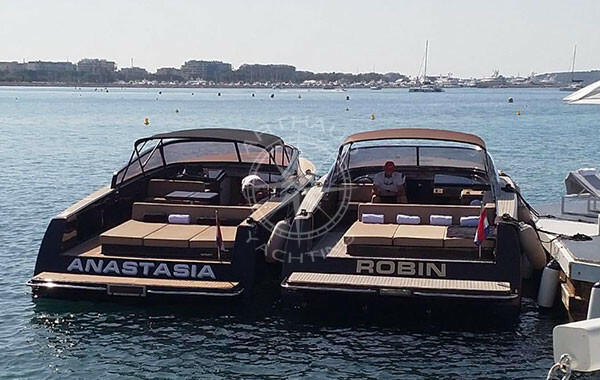 From a charming, wooden, century old classic motor yacht, to the latest ultramodern yacht; enjoy a high class, pristine service on-board and take advantage of various activities available for all including paddle, jet ski, wakeboard, diving, snorkelling and sea bobbing. 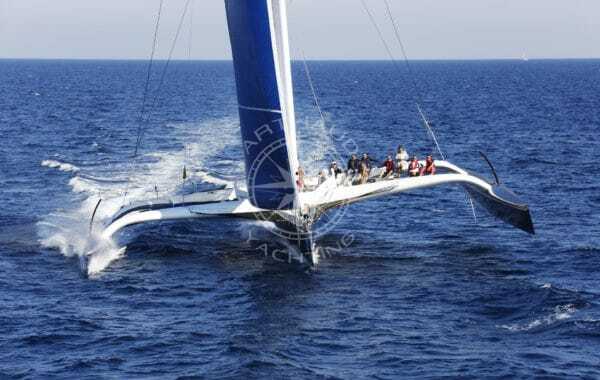 Your yacht in Corsica is an ideal way to navigate freely to the preserved areas such as the archipelagos of the Sanguinaires Islands or to the Cerbicales Islands. Afar from the city traffic, and summer tourists – enjoy Corsica at its fullest from the tip of the Giraglia to the Lavezzi Islands in the strait of Bonifacio nature reserve. Wanting to relax? 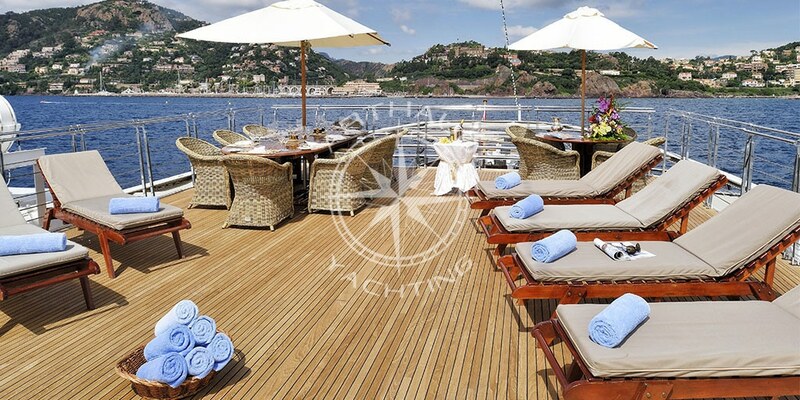 From the comfortable sundeck of your yacht, to the Roccapina or the coves of Osani, the distance is unnoticeable. Corsica is overwhelmed with hiking paths for backpackers; explore the Agriattes desert, discover the Ospedale dam and admire its swimming pools and waterfalls. On-board, from Mediterranean cuisine to exotic dishes, the chef will cook according to your cravings. 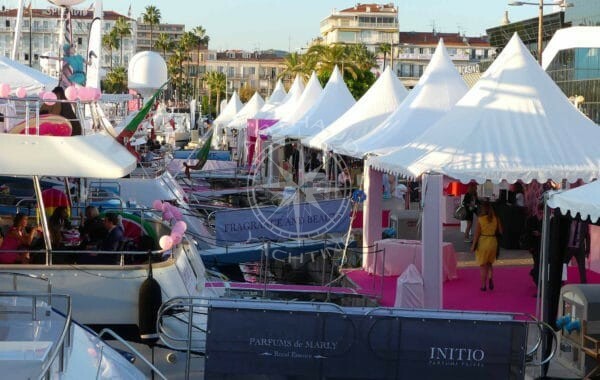 Welcome friends in the living rooms of your yacht, at quayside or at sea, for some memorable moments shared together around flavours of local crafted products including wines, delicatessen and cheese. 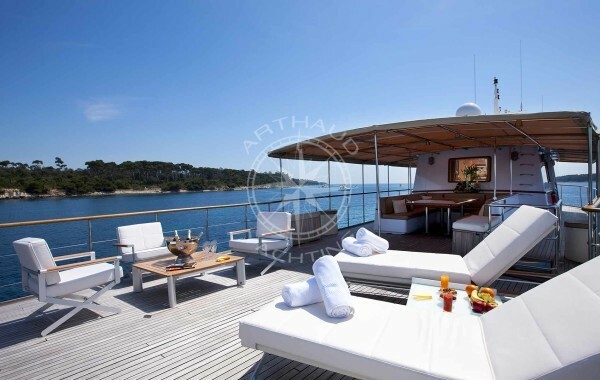 Once you rented a yacht in Corsica, the crew will be at your disposal to make your holiday a real success. The only question remaining now, is whether you will have time to do everything?! 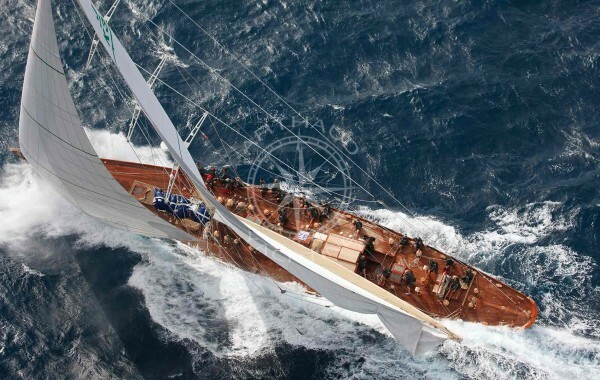 Feel like going on a day cruise in Corsica? 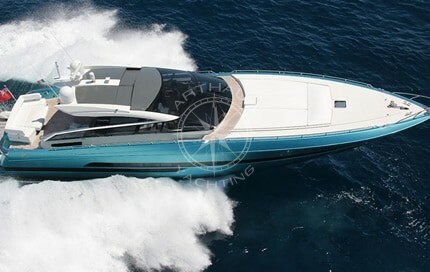 Our speedboats will take you everywhere rapidly. Looking for an original vacation idea for a nomadic and atypical journey? 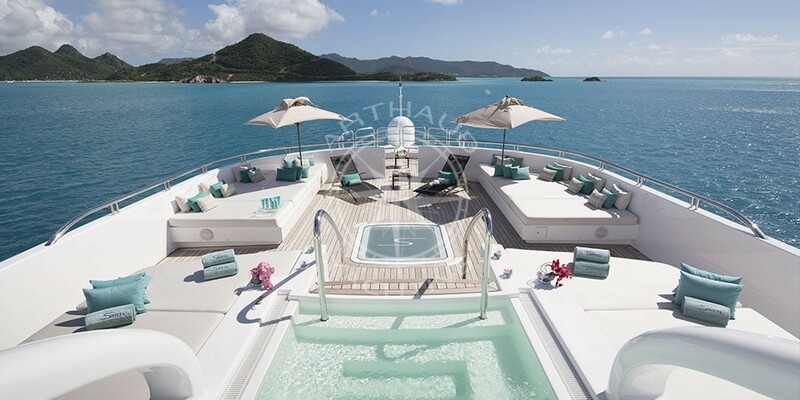 Chose a yacht that will sail according to your desires. 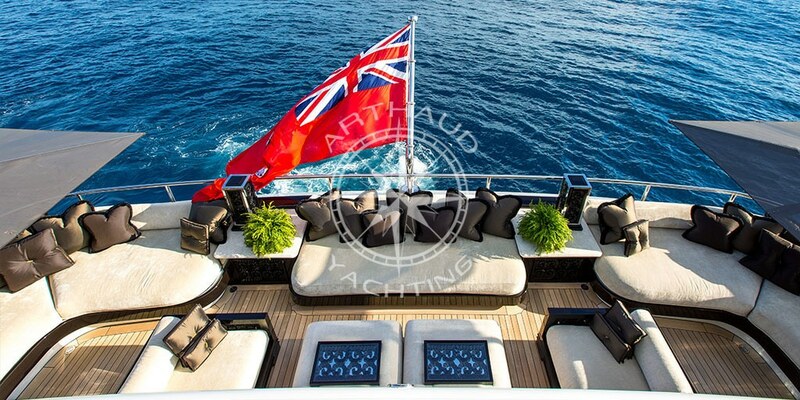 More than simple accommodation, each yacht is a one of a kind living space. 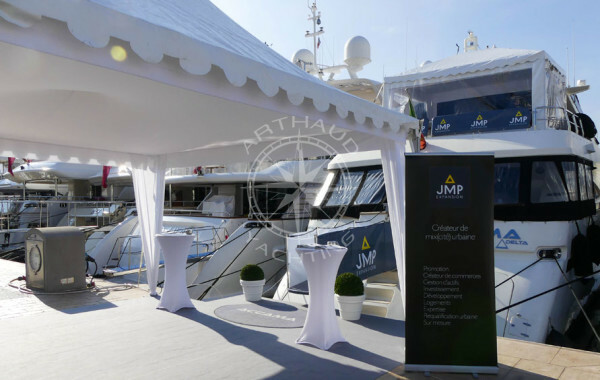 From the smallest to the largest, from traditional gentleman yachts to the latest super modern yachts, we will find THE yacht for you. A professional, welcoming, helpful and available crew will accompany you throughout your next cruise on-board in Corsica. Entertainment facilities: cinema, anti-jelly fish swimming pool, water slide, helipad. 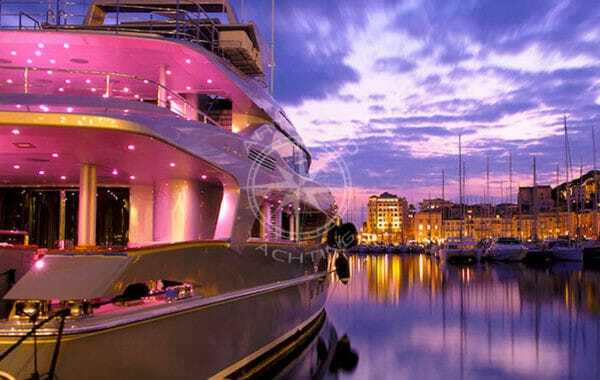 Whether you want a festive cruise, sporty cruise or simply a few days to relax, a yacht charter in Corsica is an ideal solution for your next vacation. Invite friends, family or your colleagues in one of the many saloons, stay in the cabins as prestigious as the biggest palaces out there, savour the creations of your personal chef on-board, we will take care of the rest. Victim of the unfavourable weather or bored of the destination initially chosen, weigh the anchor and make your way to a more attractive horizon. 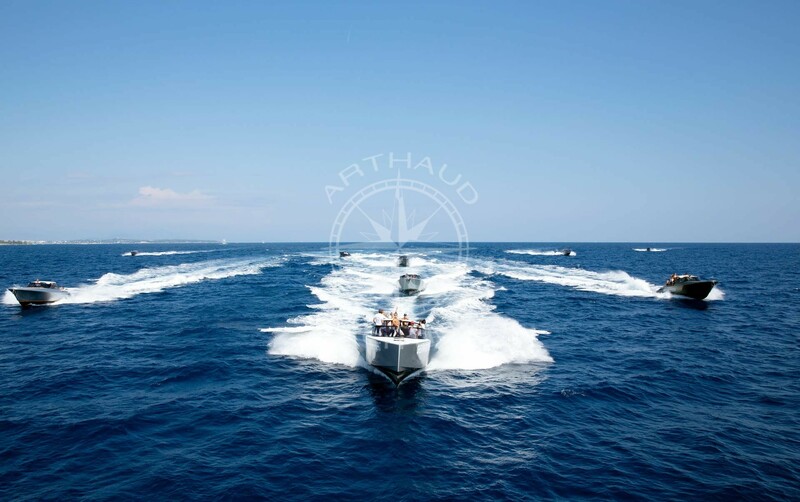 Thanks to an international network, Arthaud Yachting will propose you a selection of yachts available in the Mediterranean Sea which navigate to the Corsican waters. We can analyse together your requirements, select the yacht you require and organise your yacht charter in Corsica from beginning to end. 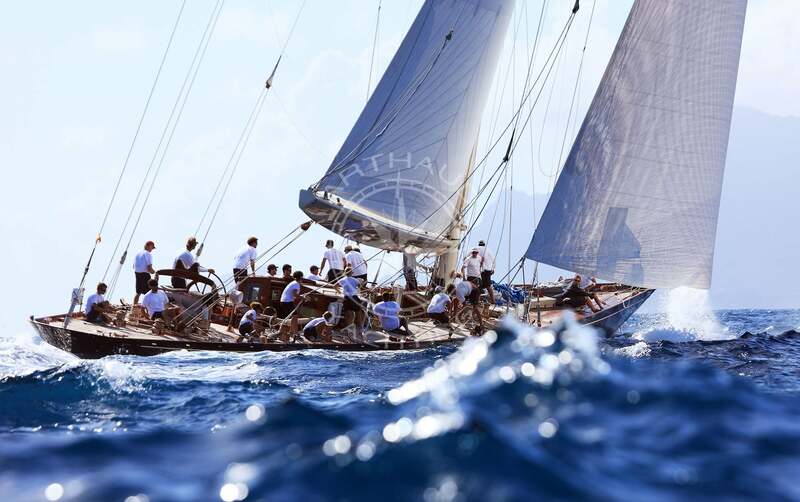 Recognised by various international brands such as Redbull, Microsoft and Fedex, our reputation speaks for the professionalism and devotion of our team in the attention given from the first passenger to the three hundredth in each event organised. 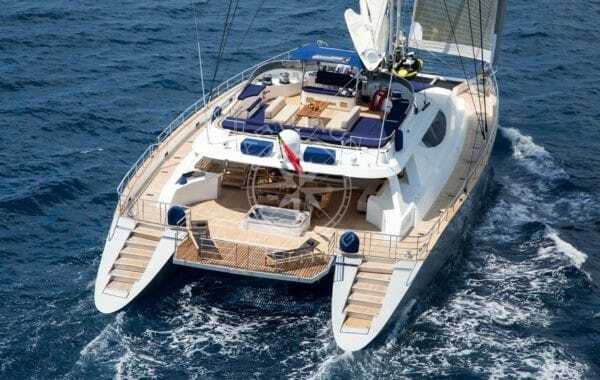 Your partner for your charter in Corsica.